The church was referred to us by our computer tech, Ben Lemere of Acey Systems. 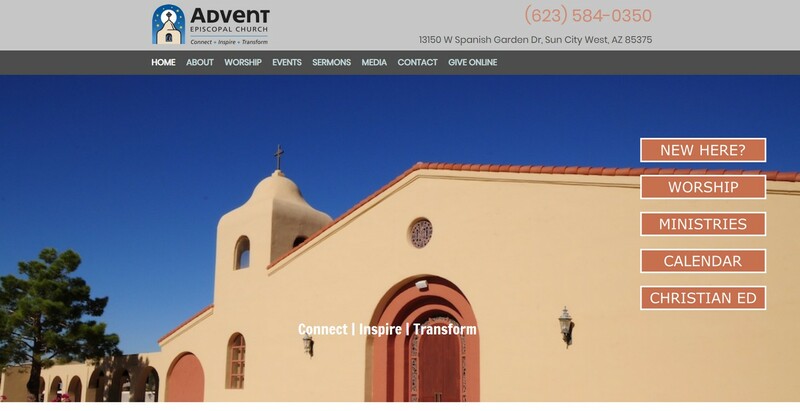 The church had an existing website, but it was old and dated. On top on this, they'd had some sort of falling out with the previous designer who was no longer communicating with the church, and still had control of the domain name. We spent quite some considerable time working with the domain registrar and the church until we finally managed to gain control of the domain. We did a total makeover of the site in terms of both aesthetics and functionality. While most of the content remained unchanged, how that content was displayed and accessed underwent considerable modification. Important areas, such as services, "new to here" tips, and sermons are a single click away.